Chiropractors take pride of using a natural approach, with no medication, to help their patients to achieve their health goals. In essence, the basic principle in which the profession in based, is that under the right conditions, our bodies have the amazing innate ability to cure themselves. So the Chiropractor’s job is to create the right environment for that to happen. Among all the stories of chiropractic miracles, resides the concept of “vertebral subluxation”. When chiropractors use this phrase they are referring to the mechanical compression and irritation of the joints of the vertebral spine and the nerves. Taking into account that all the cells and organs of our body are controlled by the nerves that travel along the spinal cord, it´s amazing to think in how broad the secondary effects can be. There are many reasons that can cause a subluxation. A misaligned vertebra caused by accident or fall(macro trauma). A bad general alignment of the spine caused by bad posture(micro trauma). Joint inflammation caused by the damage made to the intervertebral joints. An inflammatory response caused by bad eating habits, lack of pure water or psychological stress. Fatigued and/or tense muscles that get the vertebras out of their place. The problem that we are seeing in the occidental cultures is that our anti-natural habit of sitting all day is affecting our spine. Not to talk about our posture! We are also attached to our mobile phones, tablets, and notebooks. Too many people live their lives flexed foreword and with the neck forward like turtles. 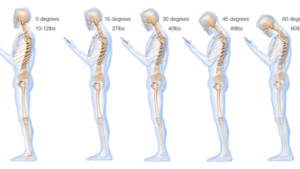 Medical doctors call this “head forward posture” and studies have shown that for each centimeter that the head shifts from its original gravity center, the neck supports 4 kg of stress extra. Think on how common and dangerous this could be for your health! During the postural evaluations, chiropractors observe usually that many of their patients have the head 2 or 3 cm forward… that’s 8 to 12 kg of extra pressure on your neck! Most of us experiment at some time a headache, but for many people is something almost daily. 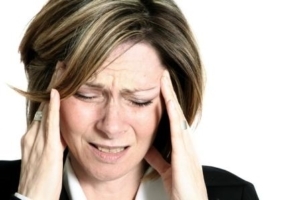 The most common types of headaches are the ones caused by muscle tension and migraines. 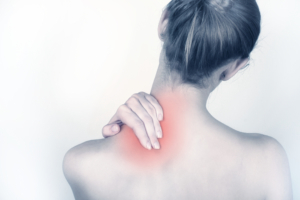 Usually the cause of this problem is in the cervical vertebras that are out of their place or blocked. This way the cranial nerves get inflamed and cause these symptoms. With vertebral adjustments, the normal position of the vertebras is restored and so is the natural flow of information between the brain and the rest of the body. 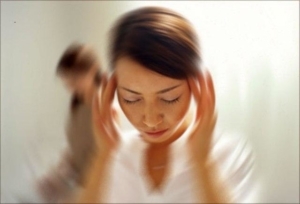 Dizziness in any of its forms (vertigo, lack of balance, instability) limits the activities and life quality of the people who suffer from it. Balance problems can also cause fatigue, walking difficulties, and falling risk. When there is a vertebral subluxation in the 1st cervical level, the brain stem is under a constant pressure. That pressure is directly over the balance center that gets constantly stimulated. Is a progressive and abnormal curvature of the spine. It could be in the thoracic part or lumbar. Even if it does not always present pain, it is very frequent that it causes dysfunction in the nervous, hormonal and breathing systems, apart from the lack of mobility in the back. Chiropractic care has given good results in the tension reduction of the scoliosis in patients of all ages. In some cases, mostly in kids, it can be corrected or improved greatly. Apart from relieving or eliminating this symptoms, cervical care is essential to have a clear nervous system; the cervical zone is the first section of the circuit where flows all the information that the brain sends to the whole body, an obstruction, or subluxation at this level, impacts on the rest. The Journal of Manipulative and Physiological Therapeutics magazine discovered that the patients with chronic lumbar pain treated by chiropractors, showed a grater improvement and satisfaction in a month than those treated by medical doctors. The satisfaction punctuations were higher in the chiropractic patients. A greater proportion of chiropractic patients (50% vs 13%) said that their lumbar pain was better or much better.